With the overwhelming successes of the Green and White Revolutions, India is now fervently poised for the Food Revolution that will ensure agricultural diversification and large investments in food processing. The entry of multinationals, aggressive rise of commodity branding and low cost of technology are changing the economics of the Indian food industry. The rise of aggressive regional players making forays into categories where entry barriers are low and a boom in Indian FMCG markets and the rising need for these products are the key reasons for this growth in food business. Indian agriculture is in the throes of a paradigm shift, thanks to the structural changes in the Indian economy. With the country achieving self-sufficiency in grains production, emphasis has changed from subsistence farming to commercialization, opening up vast opportunities for value-addition, packaging and exports, with a strikingly high level of technological involvement. The holistic concept of food security, however, has two dimensions – availability of food and access to food. While the former has been achieved, the same is not the case with the latter. Despite bumper crops, distribution of food grains continues to be faulty – almost 30% of the food produced in the country is wasted. In such a scenario, it is important for us to reorient our historical agricultural policy framework – from managing shortages to promoting efficiencies and value addition. Moreover, there is a need to increase the range of foods available to improve overall nutrition. The benefits in terms of health, vitality and productivity are obvious, and cannot be underestimated. F&B News, India’s first newspaper in this sector, provides a comprehensive view of the food and beverage industry The Indian food market is approximately Rs 2,50,000 crore ($69.4 billion), of which value-added food products comprise Rs 80,000 crore ($22.2 billion). Despite food production in the country is expected to double by the year 2020, not much attention has been given to the growth of this vital industry, with no standard publication highlighting the importance of this sector. F&B News aims to cover news, events, research, innovations, new products & processes, marketing and so on (both national and international), which will broadly cover around 75 key areas in the food, beverage and its allied segments. These include food processing, bakery, confectionery, dairy, meat & poultry, fruits & vegetables, fisheries (including aquaculture), food ingredients, grocery retail, packaging, alcoholic beverages, soft drinks and bottled drinking water, canning, fats and oils, filters and filtering materials, flavours and flavour enhancers, nutrient additives, frozen food/refrigeration and thermo processing, among others. With food production expected to double by 2020, large investments are already going into food and food processing technologies, skills and equipment. Given the changing industry dynamics, it is paramount for F&B News to highlight news, issues and events in the sector, some of which are briefly discussed below. The food processing industry is witnessing a 20% annual growth rate and, consequently, the demand for processed foods and beverages in the country is constantly on the rise. There are 300 million upper-and-middle-class consumers of processed and packaged food in the country, and another 200 million are expected to shift by 2010. In the scenario, the food processing industry has been accorded priority status by the new government with Subodh Kant Sahai holding independent charge of the Ministry of Food Processing Industries. Processed foods are primarily derived from agricultural commodities, which often incur multiple taxes at various stages. This multiple taxation has a cascading effect on prices. Moreover, there is a wide variation in the level of taxes across states, which creates a barrier to the free flow of materials from the farm to the factory and ultimately to the consumers. Post-Green Revolution, it is essential that agricultural research reoriented to address new challenges. As the existing crop seeds have reached yield saturation, there is an urgent need to evolve transgenic varieties through the application of biotechnology, RNA use, and molecular biology. These varieties should have high yield, short maturity, pest and disease resistance, stress tolerance, and wider adaptability. With the help of indigenous breeds improvement programme, nutritional research and improved cost-effective vaccine programmes, India has achieved the distinction of being the highest milk producing country in the world. Similarly, with processes in place to improve quality of marine products for internal and export markets, India is the seventh largest producer of fish in the world and is ranked second in inland fish production. Special foods are available for every patient today, be it hypertension, diabetes, obesity, or even weight reduction. For instance, diet food and nutraceuticals are the latest fad. The market for sugar-free confectionery and snack products is growing steadily. Motivated by a desire for maximum indulgence coupled with a wish for calorie control and health benefits, consumers are increasingly choosing sugar-free and sugar-reduced products. Packaging of food products has become important in order to ensure safety and hygiene and to eliminate the possibility of adulteration. In some cases, more than 50% of the price of a product goes towards packaging. Good packaging will greatly catalyze the development of a food-processing sector. However, packaging industry is yet to achieve international standards in the country. While F&B News will focus on all these issues, it will also comment on the government policies, rules and regulations. There will be regular columns on food security and safety, research, new products and processes, innovations, new technology and equipment, export and import, marketing, international developments, reports on trade fairs and seminars and interviews and special features by eminent people in the industry. Food & Beverage News will be read by CEOs as well as department heads from R&D, Purchase, Production, QA/QC, Regulatory Compliance, Hygiene & Sanitation Management, Legislation, Distribution, Logistics, Marketing & Sales as well as General Management across the food and beverage manufacturing industry across India. It will also reach out F&B managers in the top hotels and restaurants. Secondary segments will include government officials, regulatory authorities, research institutes, academia, consultants as well as equity analysts who track the sector. 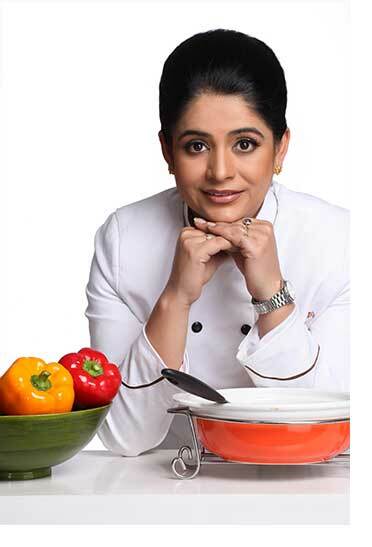 Food & Beverage News is promoted by Saffron Media Pvt. Ltd which owns Pharmabiz Group of media products. Saffron Media Pvt. Ltd was incorporated in March 2000 in Mumbai with two partners namely Madan Bahal and P.A. Francis. Mr. Madan Bahal has various business interests in advertising and public relations other than publishing. Mr. P.A. Francis, a senior journalist with 30 years of experience in financial journalism is the CEO of the company and the managing editor for all the media products of the company. Pharmabiz Groups first product and widely known website Pharmabiz.com was launched on May 22, 2000 which was followed by the launch of Chronicle Pharmabiz, a weekly publication for the pharmaceutical, biotechnology and healthcare sectors. During the last six years since its inception, Chronicle Pharmabiz the groups flagship brand, has gained wide franchise in the pharmaceutical industry. It is the industrys preferred journal and has been the official publication for Indian Pharmaceutical Congress since the year 2002 (Pune), 2003 (Chennai) and now for 2004 (Kolkata). Besides covering important pharma, biotech and healthcare events in the country, the publication also brings out country specific special issues on Sri Lanka, Pakistan, Singapore, UAE, Russia, China etc with tremendous success in terms of editorial contents and advertisements. The key advantages that Chronicle Pharmabiz offers its readers are unmatched content in terms of width and depth of coverage, related to the subjects that are influencing the dynamics of the pharma industry. Chronicle Pharmabiz has also been acknowledged for the timeliness and accuracy of reporting as well as its superior presentation and style. From an advertisers perspective, Chronicle Pharmabiz offers larger penetration across the Indian pharmaceutical industry. The largest audience reflects the entire spectrum of pharma decision makers, including CEOs to marketing and product management teams, to professionals in R&D, production, quality control, engineering services or the purchase officials. In addition, it is read amongst regulators, government authorities, academia and the trade. P. A. Francis, the editor of Food & Beverage News, is already editor & publisher for other media products namely Pharmabiz.com, Chronicle Pharmabiz and Ingredients South Asia of the Group. 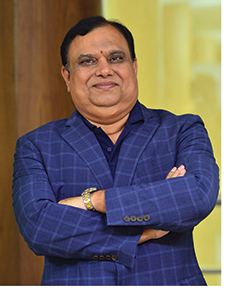 Mr. Francis before setting up Saffron Media Pvt Ltd with Madan Bahal in April 2000, was the editor for Business Publication Division (BPD) of Indian Express Group in Mumbai from 1994 to 2000. In BPD, Mr. Francis launched India's first newspaper for the pharmaceutical industry, Express Pharma Pulse, in 1994. This was followed by a string of other publications for sectors like hospitality, tourism, textile, export import, etc. Prior to this assignment he had worked as Bureau Chief for Observer of Business & Politics, a Reliance Group financial daily for 5 years and as a Special Correspondent for The Economic Times for 14 years. During his 35 years of journalistic career he had produced thousands of special reports, articles and editorial comments on pharmaceuticals and other industry segments. He had also widely traveled to several countries to participate in conferences as speaker on invitation by the organizers.